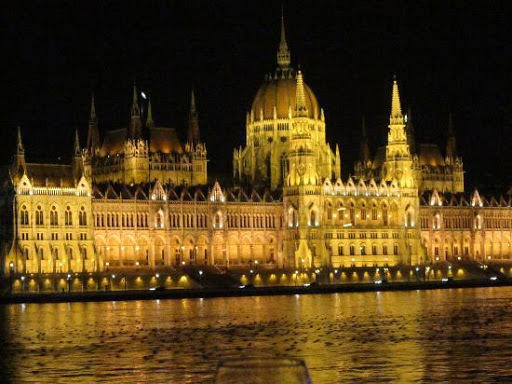 Budapest offers a wide variety of RR tournaments to choose from for non-norm seekers. The prices are quite close together for non-monthly tournaments. These are good value and are the ones I seek out to play in. First Saturday has a long runnning a monthly series priced at a premium rate. Finding these tournaments is not obvious for foreign players, but now I have the hang of it. The trick is to find the general tournament listing of the Hungarian Chess Federation and follow the breadcrumbs to the indvidual advertisement(usually in Hungarian) and then decipher them. The cheap prices make it worth the effort. I played in all the following this past year. The Amator Cup was held in the downtown Hungarian Federation builiding. I liked this one best of all. It was a strange feeling to be the only foreign player, but I had the consolation of being the top-rated player. These are the most well-known and offer no prizes. Non-norm tournaments run beside IM and GM norm tournaments. The non-norm tournaments are classified as FM tournaments with various subcategories. Prices are summarized from their 2012-13 programme as follows. I played in this type of group in 2009 several times. Hungarian players pay a standard unadvertised entry fee of 12,000HUF which is still very expensive by local standards(a monthly transit pass is 9,800HUF). Foreign players living in the city who know this rate also get this rate. Incoming foreign player tourists are usually unaware of this pricing practive. It took me a year to find out this key piece of information in late 2009. Also note that FS prices are negotiable at all levels, you just have to know this in advance. Usually for RR tournaments I expect to be paying in the 20EUR(25CAD/25USD) range and always for prizes(which are quite modest). FS falls far outside of this range and offer no prizes so I don’t play in their events. There are many bargain level tournaments in all formats(RRs, opens and weekenders) in Budapest. The key is to know where to look.